Kanter Plastic Surgery, Board Certified, Harvard Trained, voted Awards by.. Kanter Plastic Surgery, Board Certified, Harvard Trained, voted Awards by..
Congratulations to Dr. William Kanter and Dr. Mitchel Kanter for being voted the Best of Howard award for Plastic Surgery in Howard County, Maryland for the second year in row! The 2017 Awards are based on a survey of over 16,000 members of the community. We offer a wide range of plastic surgery, injectables, laser and more. Be sure see our patient testimonials on this website! Dr. Mitchel Kanter and Dr. William Kanter were voted the Best of Howard award for Plastic Surgery by Howard Magazine in Howard County, Maryland for 2016. The awards were based on a survey of over 15,000 people in the community. Our Plastic Surgeons are Board Certified in Plastic Surgery, Harvard Trained and have over 25 years of practice experience in Maryland. 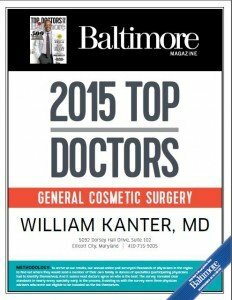 Baltimore Magazine awarded its prestigious Top Doctors award for General Cosmetic Surgery to Dr. William Kanter for 2015 as voted by other doctors in the area. Scroll down the page to learn what you need to know before you choose a plastic surgeon. Have your plastic surgery performed by our caring, experienced, Board Certified Plastic Surgeons. Actual patient shown. Click on our Photo Galleries on the tab above to see more. Our office in Ellicott City is just minutes from the Columbia Mall in Howard County, Maryland. 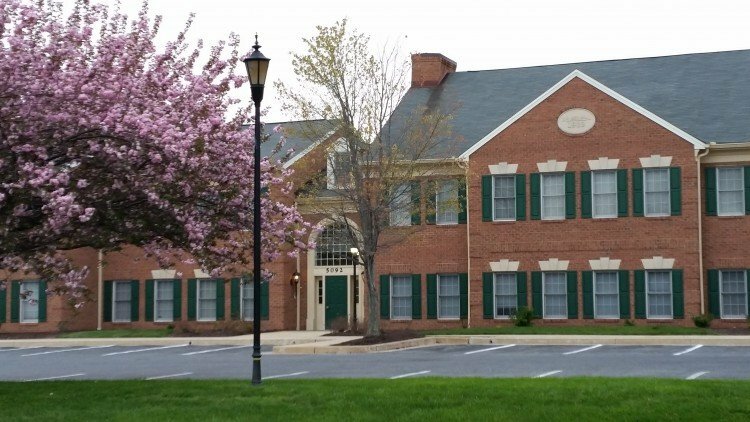 Our office in Annapolis is just off Riva Road across from the Parole Towne Center. Call us for your personal consultation! For something that can be as life-impacting as plastic surgery, you want the complete package: an experienced, highly skilled and caring plastic surgeon, and a facility that conforms to the rigorous standards of the JCAHO or the Accreditation Association for Ambulatory Health Care, two highly regarded accrediting bodies for outpatient surgical facilities. 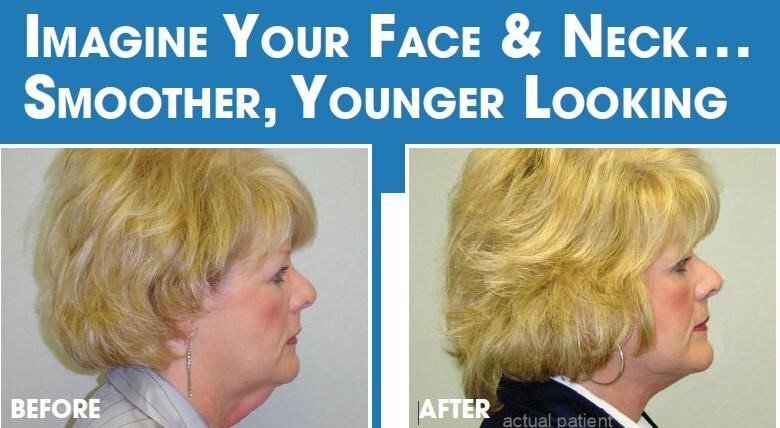 The fact is, no reputable plastic surgeon can guarantee you’ll end up with the look you want. Here are some things you can do to help you in your search for a safe, quality outcome. 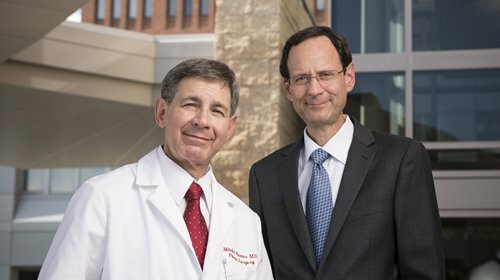 Dr. William Kanter and Dr. Mitchel Kanter completed their training in Plastic Surgery at the Harvard Medical School and both have been recognized as among “America’s Top Plastic Surgeons” by the Consumer Research Council of America. They were voted the Best of Howard Award for Plastic Surgery for 2 years in a row by members of the community. The awards were based on a survey of over 15,000 votes by Howard Magazine, a Baltimore Sun publication. The awards were for 2016 and 2017. Dr. William Kanter was voted the Best of Baltimore award for 2015 for general cosmetic surgery based on a survey of other doctors. In the field of cosmetic plastic surgery, experience matters. For over 25 years, our practice, Plastic Surgery Professionals, has been offering a wide range of services. With offices in Ellicott City and Annapolis, Maryland we also serve the greater Baltimore and Washington areas. They also take you to surgical facilities that meet their exacting standards and have met strict accreditation criteria to help optimize your safety. At Plastic Surgery Professionals, we have made caring for people – watching out for their safety and well-being from their initial consultation through to their recovery – the foundation of what we do. We are fortunate to have trained with leaders in the field of plastic surgery and we bring years of clinical experience to each operation. From contributing articles to prestigious medical journals like Plastic & Reconstructive Surgery to authoring a major textbook on cosmetic plastic eyelid surgery, we are committed to giving you the best. Many people come to us with the same questions and concerns. What will the pain be like? When can I return to my regular activities? What am I going to look like? Will I look natural? Obviously, everyone is unique and individual experiences will vary. But here is what we can say. For most procedures, the pain will not be severe and we make sure you receive proper pain medication. Most often, our patients start to resume normal activities in about two weeks although each person’s experience may vary. With newer, less invasive procedures, downtime is usually minimal. High quality plastic surgery and a range of options for you…at affordable prices. Fillers, like Restylane, Juvederm, Voluma, Radiesse, and more. “From the beginning I felt confident in your skills and comfortable with the way you handled all my questions and concerns. You are all so kind and decent. I have no regrets. Click here to see more testimonials. And don’t forget to grab our no-charge Special Report, “7 Questions You Need Answered BEFORE You Decide On A Plastic Surgeon” from the left hand side of this home page. It’s packed with information to help you make an educated decision. Learn the single most important credential you want to look for in a plastic surgeon. Discover the sometimes “hidden” cost of plastic surgery and avoid any surprises later on. Find out about the “other” person in the operating room who is just as important as your surgeon- it may not be who you think it is. Learn what many plastic surgeons would look for in a plastic surgery facility if they were the patient. If you’re looking for a cosmetic plastic surgery practice highly skilled, Board Certified plastic surgeons that can point to a strong track record of providing patients with quality results, a practice run by doctors who combine up-to-date training and extensive experience with a care and compassion that says, “we place a high value on treating you as an individual, then you owe it to yourself to visit Plastic Surgery Professionals to learn more. Contact us today at 410-715-9205 or click here to request your consultation. Mitchel Kanter, M.D., F.A.C.P., F.A.C.S. Disclaimer: Individual results vary and there are risks with all surgical and medical procedures. This website is for general information only and does not provide medical advice and does not create a doctor-patient relationship. If you would like medical advice for your particular situation, please visit our Board Certified physicians. Free Special Report "7 Questions you need answered BEFORE you decide on a Plastic Surgeon." You'll get instantly, along with our articles, tips and information. Dr. William Kanter and Dr. Mitchel Kanter are Board Certified Plastic Surgeons serving Ellicott City, Columbia, Greater Baltimore, Annapolis and surrounding Maryland communities. They specialize in cosmetic (aesthetic) plastic surgery of the face, breast and body. They offer a wide range of cosmetic operations as well as injectables, laser and minimally invasive treatments to help you enhance your image.